Over the past few years we have become quite the gadget-carrier. Most of us carry a phone and camera along with MP3 player. Right? However, don’t you feel like it is turning into a burden? Carrying your laptop, smartphone along with camera and Mp3 player all the time? 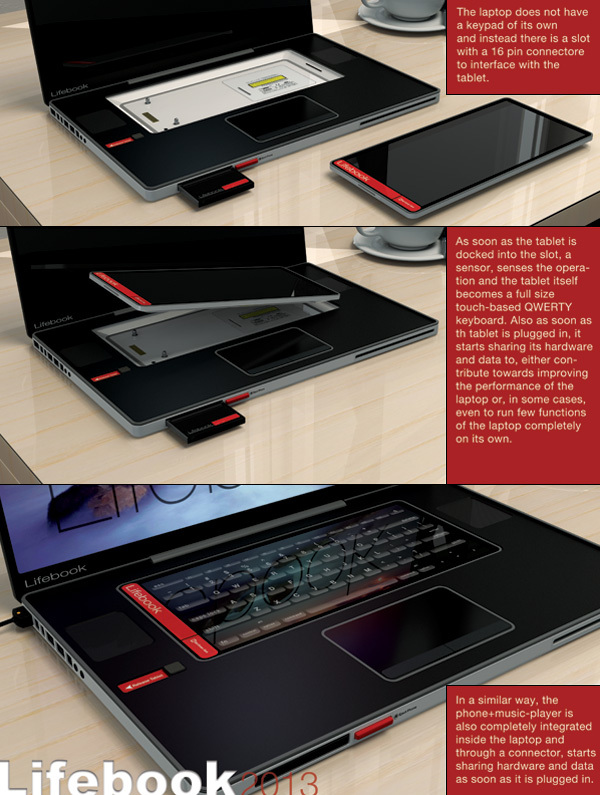 Designer Prashant Chandra believes so and has therefore come up with an amazingly unique design of a laptop that features an embedded smartphone, tablet and an Mp3 player. 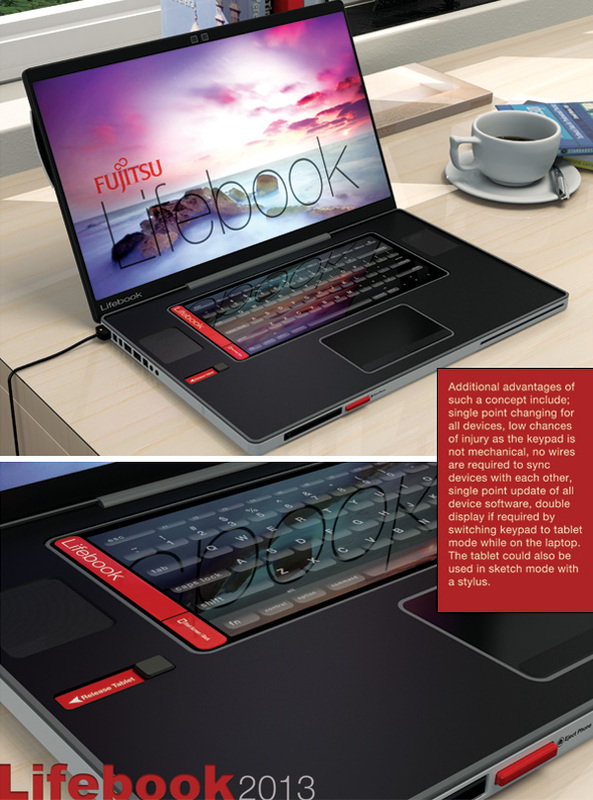 He has named the laptop as Lifebook and you can check it out below. The idea is based on the principle of shared hardware. Shared hardware idea talks about not having a repetition of hardware; that is to say if you have storage on Mp3 player then why waste the same space on your computer hard drive as well. The idea is strikingly peculiar and somehow quite appealing as well. Would you be willing to buy this? Given that it makes its way to the real world. 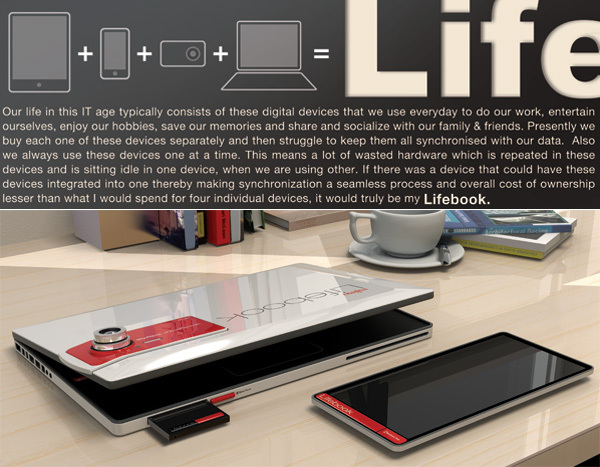 I would like to perhaps buy “Lifebook”. I want to know if it can work with out the tablet. And when is it coming out.